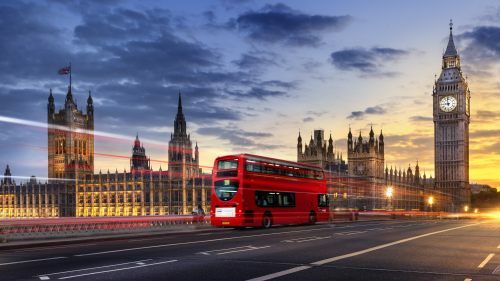 WestJet has dropped the price of some of their flights from St. John's, Newfoundland to London, England down to $462 CAD roundtrip including taxes. 2. Click on 'Edit Search' (top right) to change the dates. Update 4/20 @ 2:27 PM EST - WestJet has dropped a few more dates down to $439 CAD roundtrip including taxes. May 14 to May 18, 19, or 20 -- new! Update 4/25 @ 2:30 PM EST - WestJet has dropped a few more dates down to $438 CAD roundtrip including taxes. Where to stay in London, England? The map below will show you some great deals on AirBNB accommodations in an ideal location in London for under $99 CAD/night for 2 people. 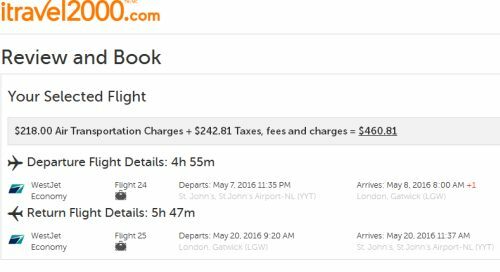 st johns, yyt, westjet, flight deals, europe, western europe, newfoundland, london, united kingdom, england, northern europe, lgw and gatwick.